Well I don't believe any other GTA websites have actually posted about this yet which I find suprising. As I was talking to Miller and Cal about the content we still need to get done, I realised we needed to get the radio stations page done. Well anyway I thought to myself *Vice City has an official site for the radio stations* (ViceCityRadio.com) and then I wondered... have R* put one up for San Andreas yet? Well I headed over to SanAndreasRadio.com and found out something very interesting, the website's previous content is now unavailable and it is now up for sale. Have R* put in a bid for it? The change between city and countryside is gradual. The air in Los Santos has a bright, gritty feel, and occasional bursts of rain; San Fierro is foggy; Las Venturas has clear air and harsh lights; the countryside has a warmer, more natural vibe to it. The game has an improved use of partical effects. Exhaust smoke, tyres kicking up dirt, clouds of smoke when you stand on the brakes, and sparks flying from bullets. Carjacking animations have improved. Rather than pulling the driver out of the vehicle, CJ opens the door, wacks him in the face, and throws him onto the road. Kendall is angry with CJ because he wasn't around to help the family. The number of recorded stats has increased. There will be a stat for just about everything you do; driving motorcycles, driving cars, swimming, running, sprinting and so on. Pedestrians call obese Carl a 'fat ba*tard'. Even your own gang members say "dude, you need to lose some weight". The pedestrian AI has improved greatly. You may see two pedestrians walking down a street, holding hands. If you break them apart, they'll react, and hold hands again. Each pedestrian lives a different life. You can literally 'stalk' a pedestrian, watch he/she get out of their house, goto a shop, meet up with a girl, and go home again (for example). Mt. Chilliad casts a massive shadow. All shadows are drawn by radiosity lighting, which covers the entire map. Very funny video found by Precision's brother, definatly worth seeing. The authors also got a website, which can found here: http://www.brickflick.com. Well, not exactly new, but GTASanAn has been granted exclusive access to two of the screens that were in ScreenFun, the Bravo magazine. While we can't host the actual screens here, I'll give you the link and a description of both the new screens. Well, this screen definitely shows more than its scanned counterpart. From what I see, it looks like a freeway is extending out over water, or at least into the air. This is just a beautiful screen, as it show the new increased power of the graphics engine. The volumetric lighting here is top notch, and the fact that the light wraps around the body of the tanker show off some of the new radial lighting effects. Anyway, hope you enjoy those screens, and a big thanks goes to GTASanAn for getting the exclusive. MTAVC have released version 0.4 of their multiplayer GTA mod. It is now for both GTA3 and VC and is just over 1mb. You can download it off their site but you may have to wait in a queue so I added it to our database where there are no queues. I also made a category for previous version of MTA which is here. I have also added loads more downloads so check them all out. EDIT: According to GTAGaming this info has been proven to be false but here it is to read anyway. CJ can now scavange in the streets to find things to fight with. TechToyz used an example of CJ being chased and finding a bottle to fight with. Phillet's is a fish orientated restuarant. Rodney's Roadside Diner is a restaurant in the countryside. TechToyz didn't say if CJ could eat there, but it appears that you probably will. No more rolling after falling from 30 stories, now jumping off tall buildings will result in ugly deaths. You can whack people across the head with weapons, such as bottles and more than likely bats (probably making a return from Vice City). Los Santos is 1 and a half times the size of Vice City, which shows exactly how huge this game is going to be...again. In Los Santos there is a dock which has a carnival. AGAIN, this info has been proven false, but we put it here to read, because really all this would make great additions to SA. Woo another nice suprise in my inbox today, R* sent us the 9 food/restaurant screenshots that gamespot had posted, without the watermarks. Thanks for the support and enjoy the new screens. More information will be coming soon so get ready! Don't expect to be frequently changing your hair, it costs 0 a cut. The outcome of a mission directly affects what leisure options you can do. Gamespot have put up a preview of San Andreas regarding food, it describes what happens when you get fat and thin, and how you need to keep fit, it also looks at the new food stores. There are also 9 exclusive screens for yo to look at, so Click here to read the whole article, if you dont want to then here are a bunch of quotes I have picked out. When CJ is hungry, a message will appear onscreen alerting you to his need for some chow. If you choose to ignore this missive, his energy level will start to decrease, and a host of other bad things will begin to happen. As with the previous GTA games, you can expect the food service establishments in San Andreas to mirror real-life locales--but with satirical twists. To wit, three of the franchise restaurants in the game are Cluckin' Bell, Well Stacked Pizza, and Burger Shot. you will become fatter and fatter, resulting in the unpleasant sight of CJ bulging out of his clothes. Your tough saunter will become a waddle, and you won't be able to put your arms by your side. The key thing to note is that skinny doesn't necessarily mean fit. You'll have to manage CJ's development of fat and muscle to have him be in optimal physical condition. Well some of you (who run forums) may already know that I made a Vice City skin for Invision Power Board. But if you don't I will tell you anyway. Ok its pink, but they are the colours of Vice City so it makes sense doesn't it, I just like to think its helping out the GTA community and i have in fact seen a couple of forums using it (gtafour.com) so its obviously not that bad although i can see why some people might not like it. I have made a Submit News form so if you happen to find any news before we do, or there is something we haven't posted, you can use this form to send it us. It's much quicker than sending us an email, plus your gaurenteed we will all recieve it. -Carl can attack enemies from behind after hiding and sneaking in the shadows. -The members of the Orange Grove Families ( the gang that Carl , his brother Sweet , Smoke and Ryder are part of ) will wear green clothes. -The Ballas ( The rival gang of the OGF ) will wear purple clothes. -Bicycles will move forward when the X button is held down , But tapping the X button will make CJ peddle faster. -Carl can now roll to the side while engaged in combat. -A choice of haircuts are available such as bald heads , dripping jheri curls , a towering flattop and the famous Afro haircut , but players will also be able to pick between a choice of beards and other facial hair. 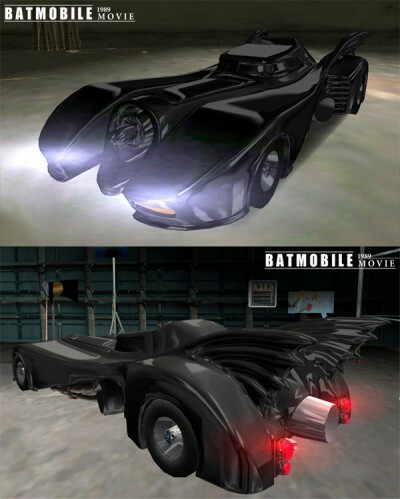 -Players can now pivot the camera around the car to gain a better view. 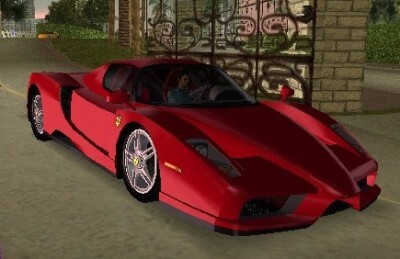 -Models include 50% more polygons than those of vice city. thanks to sean breen for submitting this. We have some new staff aboard The GTA Place. They are Calhoun who will be posting news and hopefully adding some more content. Owen who will be posting news and Sean who will be submitting any news he finds for us to post. Over the past couple of weeks i've been adding loads of downloads to the database and i've added manual installs of most of the cars. This awesome Audi was just one of the many cars added. Click here to browse around the database. If your getting MySQL errors just refresh the page and it should be fine, we're still trying to stop these appearing. ST.MU (Steve.M) of GTAForums has translated some facts and the first three mission details. - The twelve small towns often consist of only two junctions and a few buildings, featuring a liquor store, bakery, pottery and much more. - When flying, the radar map changes and shows a horizon, so orientation is easier. In the 1st mission CJ has to help his buddy, who is hunted by a motorbike gang and needs a diversionary maneuver. So carl races trough the forest in a jeep, with the gang after him - since they assume the victim is in the car. CJ has to avoid them destroying the doors to keep the secret. As soon as you passed the checkpoint race, your cellphone rings: your buddy is save, and you get 0 reward. The 2nd mission starts at a trailer park. CJ is blackmailed into killing an important witness, who hides in a hut on Mt. Chiliad. Carl arrives there with a Sanchez, first killing two FBI agents and then the witness. Since the blackmailer wants to see evidence, CJ takes a photo of the corpse, and drives back to the trailer park. For the 3rd mission R* used a cheat to spawn a dodo to save time (claiming that using a car would have taken them 15 minutes), and lands near a small hut in the forest. There the gas station mission starts, where CJ and the yet unknown girl try to steal the tanker. They also wrote that the PS2 lagged during their presentation, but they hope R* get this fixed in the remaining months, as well as a few boring and stretched countryside textures. German magazine Screenfun have an exclusive article about San Andreas which also includes some screens and their own interpretation of the map. The GTA Place has been running now since the 29th of November 2002, so thats over 1 and half years and it's been mostly me by myself, Dennis has helped with certain things but we need some more permanent staff who will be active. 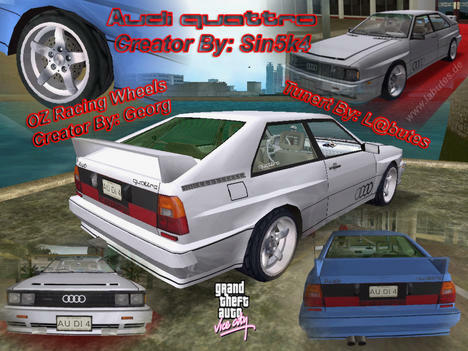 1 Content Helper - Someone to help me add the 'missing' content for GTA Classics, GTA3 and Vice City. We may be able to also have 1 free lance staff who can do a bit of all three of these jobs. If you are interested in this oppurtunity please send an email to me, chris [AT] thegtaplace [DOT] com saying why you think you should get the job, If you are going for a certain position e.g News Poster then it would help if you wrote in fluent, accurate, coherent English which is easy to read and doesn't sound child-like. Also something I forgot to post about was the 4 new screens in the latest Game Informer magazine, however we aren't allowed to show these either. Badboys Would Like To Announce that we are Going to Build (Formerly Mentioned on GTA 3's Radio) Carcer City although this name was used on Rockstars Manhunt we have planned to create an unofficial gta version for the PC Fans to enjoy. A new and upcoming Modding Team called "BadBoys" have confirmed that their first mod (expected to be released October 2004) will be a Total Conversion mod for Vice City, It will contain new weapons, veichles and much more. Details will be brought to you when released as there upcoming website is still in Production. Two mods from MushMush who is one of the team members will be added to our database soon.